You've got lots of different scarfs and neckties at home, but you always put them around your neck the same boring way. Sound farmiliar? 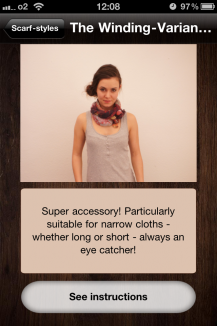 Against that dullness, we have the ingenious scarf-directions to bring that spark back into your style. 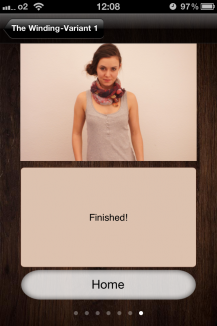 You can choose between 20 different styles of folding and look at them picture for picture. That way, everbody can find the right style: From easy and simple, all the way to extravagant and complex, depending on what you like. 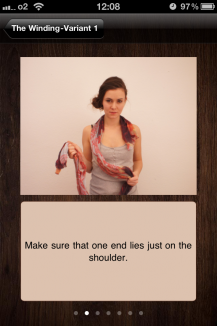 The main problem about folding scarfs and neckties is, that every one has its own shape. 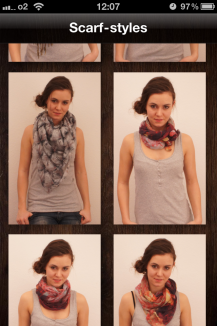 That's why we listed a folding-possibility for every single shape, so you can fold all your scarfs and neckties. 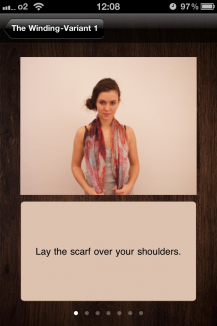 Scarfs and neckties are the perfect accessory, and with this app, they'll draw even more attention and be the highlight of your style.